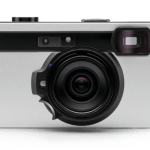 Its now possible for Consumers to own Video Cameras that are as good as professional camcorders released only a few years ago. Many professionals rely on advanced functionality and connectivity that is not required by most consumers. For people in the category of wanting professional video quality with consumer usability this list is the one for you. These are the best camcorders with a balance of quality and functionality suited to consumers who want to push there filming to the next level. $1000 – $2000 Without XLR outputs. 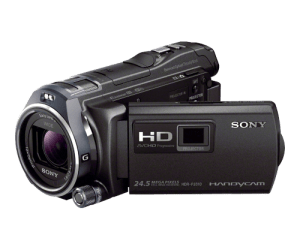 One of the newest camcorders from Sony is the HDRCX900, the image quality offered by this camera is on par with some of Sonys much more expensive cameras. With Wifi built in and easy sharing its ideal for anyone who wants to produce professional quality movies without the technical problems and file copying frustrations. 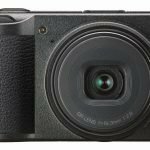 This camera along with the XA20 are among the first of this breed of handheld pro quality camcorders and they are worth taking a closer look at. As Canon’s flagship of its Vixia Series, the Vixia HF G30 has been integrated with several professional-quality features that make it a camcorder totally worth going for. It has a 20x HD lens and an 8-blade circular aperture that not only makes great video quality but also gives shots a natural background blur. With its dynamic SuperRange Optical Image Stabilization, video subjects are guaranteed to be shot blur-free. Also, working in tandem are its DIGIC DV4 Image Processor and HD CMOS Pro Image Sensor, allowing for dynamic range as well as reduced noise. 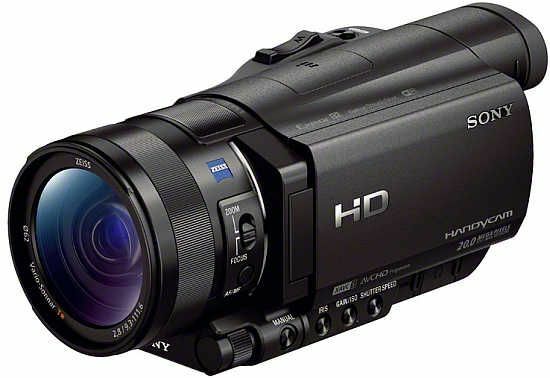 This camera from Sony is very special, not only does it provide supurb video quality it also has a built in projector that allows you to show big movies anywhere you are. It comes with wi-fi connectivity 12X optical zoom and 32GB memory built in. It uses Sony professional technology “steadyshot” to give you the smoothest footage possible. If the in built projector is something that attacts you then this is definately the camera for you. 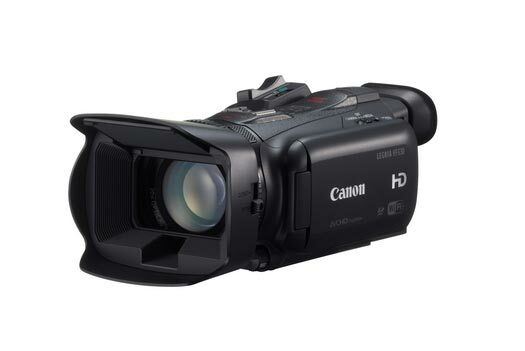 The HC-X920 is leading the way in consumer camcorders and is priced very well at around $1000. It is the newest version of Panasonic’s acclaimed HC Series. Its predecessor, the HC-900 has won many awards, the HC-X920 sets to continue this president. We like this camera a lot because its easy to use and has some of the best picture quality available for this price. If your budget is around $1000 this is the best available today. Canon Vixia G20 is a more improved version of the Vixia G10. 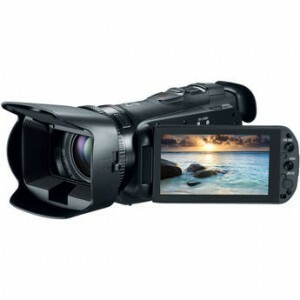 It has been designed to rival professional camcorders in terms of image quality and especially flexibility. This model comes with a Canon 10x HD Video Lens and an 8-bladed iris that doesn’t only give out impressive video quality but also soft and beautiful background blurs. Its HD CMOS Pro Image Sensor gives it an extended dynamic range, improved performance in low-lighting conditions and enhanced gradation. As with the Vixia G10, the Vixia G20 can also record videos up to 12 hours either to its 32GB internal flash memory or 2 memory cards simultaneously. 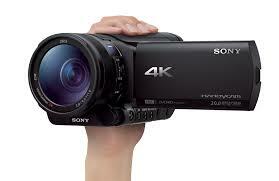 The FDR AX100 is the first 4k consumer camera produced by Sony. 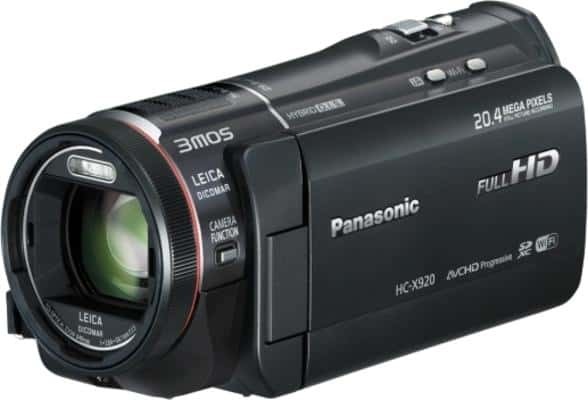 If you are after the most detailed video footage today but do not have the budget for a professional camcorder then this might just be the camera you are after. It comes with Wifi and easy sharing so people of any level can easily transfer and view files anywhere they want. The FDR Ax100 really does bring the latest technology to the top end of the consumer market. If your after the best image quality available today then this is for you. 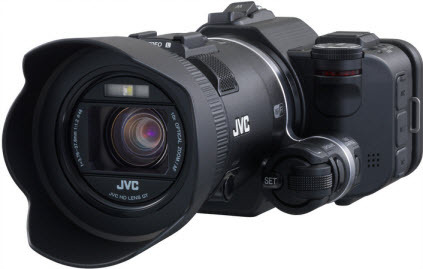 JVC’s GC-PX100 is a very highly rated camera. With a 200X digital zoom, a falconbird engine and a 3″ touchscreen the camera gives you a lot of technology for you money. Its a very good video camera as well as a very accomplished DLSR. Have a look at some of the test footage to get a better idea of why we rate this camera.